ABOUT TEDDY A BBNAIJA PROFILE, BIOGRAPHY AND LIFESTYLE | PICTURE OF TEDDY A BBNAIJA. 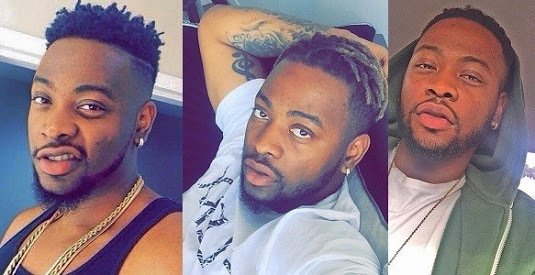 This article is basically written to review details about TEDDY A the Big Brother Naija 2018 star. Teddy A who has his residence and place of Birth in United State and Lagos respectively. He’s a recording artiste and graduate of the University of Texas, he is also known as Badman Teddy. He considers his high points to be when his son was born and getting his recording contract. His mum is his best friend whilst his favourite food is pounded yam and egusi soup. There are two things that make Teddy A jam in this world: recording and making his music in the studio. Teddy also adores spending quality time with and doting on his four-year old son. A self-described chameleon who can fit in any society, Teddy joins the house because he wants to ‘blow’ and ‘be popular’ in the entertainment industry. His ever-supporting family and his four brothers have all rallied behind him. What will you do with the prize money: Invest some of it, the rest will be used to fund my label.